Confetti is a little holiday that is easy to do with their hands. Do not hesitate to involve in the process all the home. 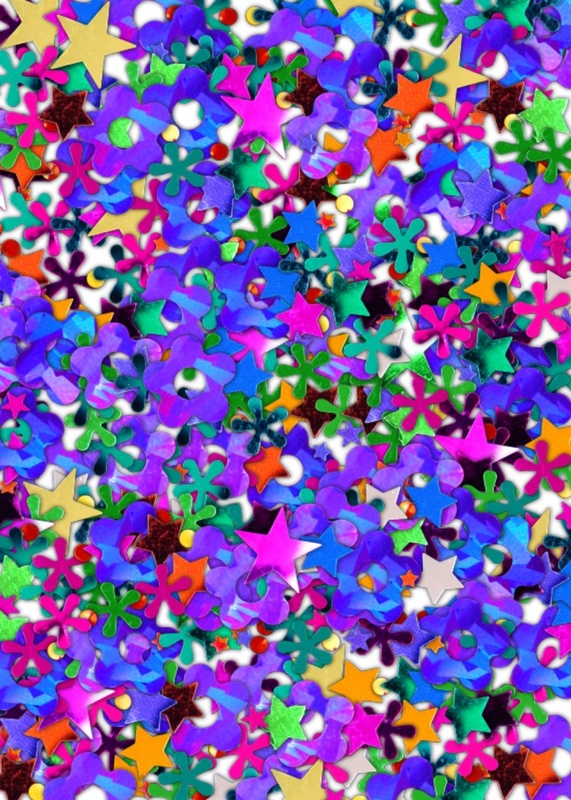 Especially children, for whom the creation of confetti is not only an exciting, but very useful exercise. Working with scissors, paper, pencils – all this will contribute to the development of creative skills and training motor skills of hands. If all materials are ready, you can start to work. To start, slice a hole punch lots of circles from colored paper. Add the slices of plain white paper. Do the same with the pages of old magazines. You'd be surprised how a variety of confetti to get a result. Take one big vessel – a box, a big plastic container or something like that. You can use an empty plastic bottle, cut off the neck. Mix in this container, the colored circles with a coffee. Beauty! A little? Continue! Now take the foil and shaped hole punch. Great if you can find colored foil and at least a couple of different punches. You remembered about the old collection of candy wrappers? Great! Candy wrappers also great for confetti! Cut! If you have not found shaped hole punch – do not worry, because have a pair of scissors! Try to slice them small stars, diamonds, squares of foil, candy wrappers and colored paper. You can also cut very thin strips of ribbon of different lengths. The longest you can cheat on the pencil so they curled "lambs". If you suddenly became a pity to waste foil, rummage in the economy – may find a chocolate bar wrapper? Pack of glazed cheese curds, too, will go to the cause, after washing, of course. By the way, some fans of the confetti used for cutting even the old films. Well, your exclusive confetti ready, and the house now is not lying any unwanted candy wrappers and paper. You can celebrate!